The eNanoMapper ontology is developed by the eNanoMapper team. 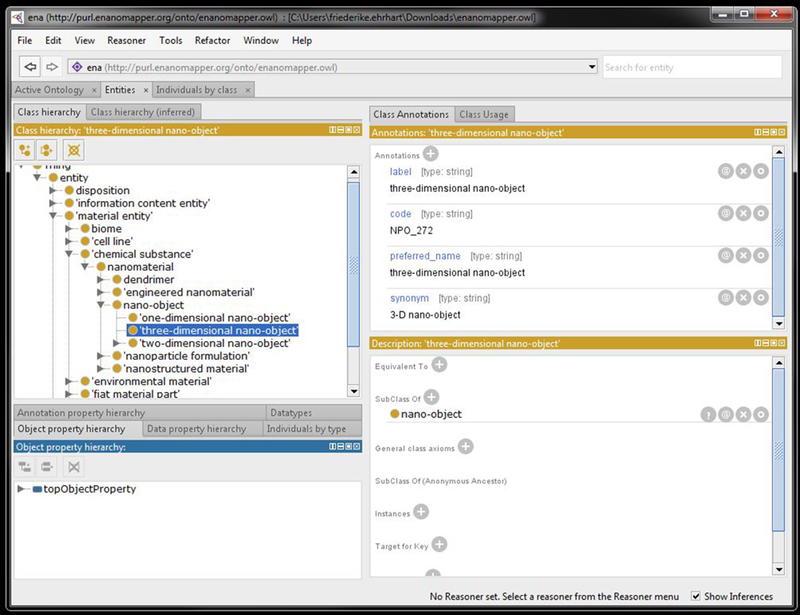 The ontology includes and defines common vocabulary terms in use in nanosafety research with a classification hierarchy and other relationships. In parts it is an extension and refinement of the Nanoparticle Ontology. Status: On the 1st of March a third version of the ontology has been released. In order to simplify the combined search for data and ontologies in the eNanoMapper RDF backend, we have developed an interface for the visualisation of SPARQL queries. The tool provides a graphical user interface to execute SPARQL query to receive results as static Dendogram graph, interactive Sunburst graph or as file output in various formats. SPARQL query interface for eNanoMapper data and ontologies. 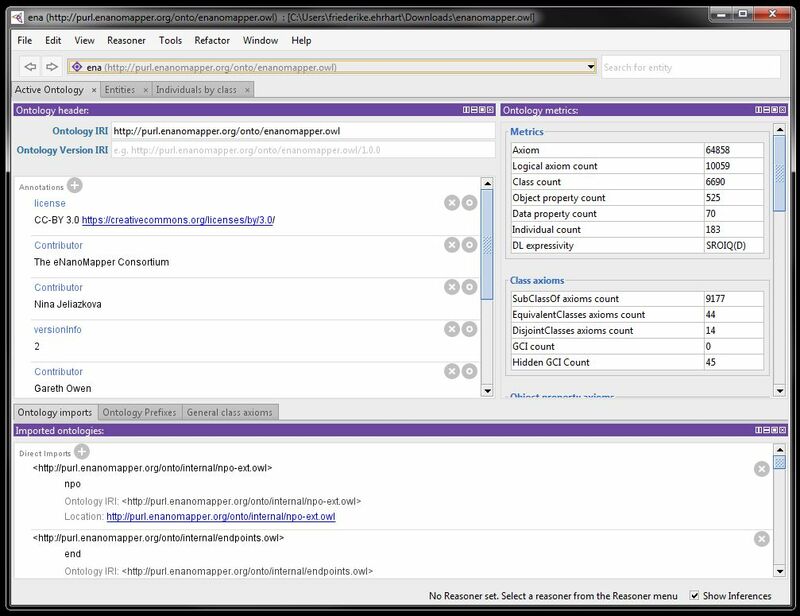 A query interface to the Resource Description Framework (RDF) database with the mirrored nanoparticle ontologies and data.